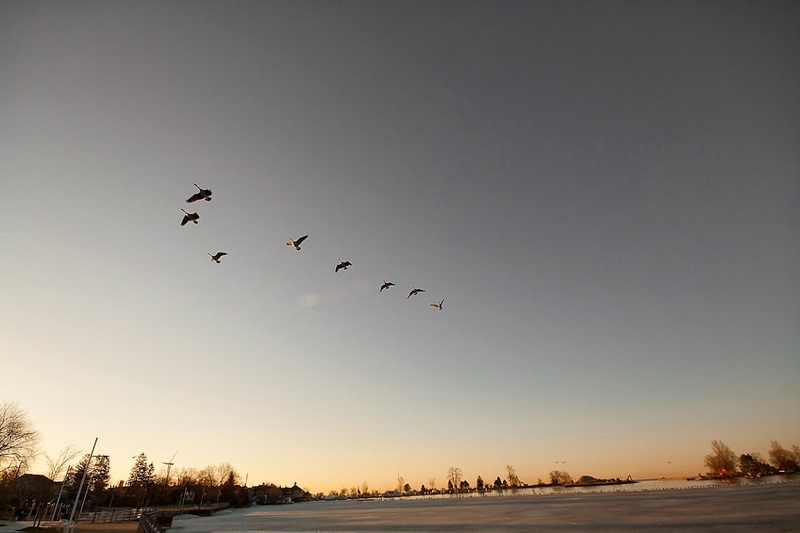 The spring thaw is on and the geese are northward bound. Beautiful shot of the geese and landscape. It looks cold still. The light is so pretty here!